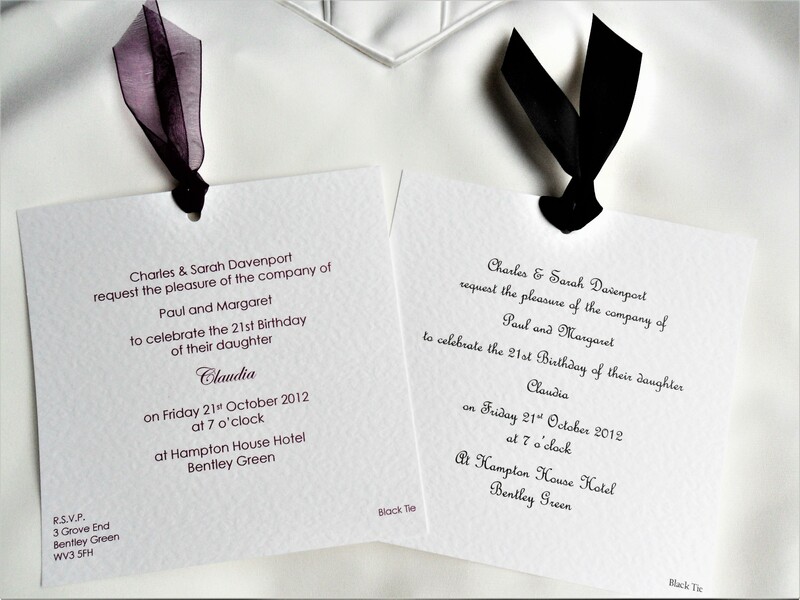 Wedding invitations with free envelopes & free guest name printing. Quick Delivery! Free P&P on orders over £200. Personalised wedding invites for 2019. Price includes free envelopes and free guest name printing if required. 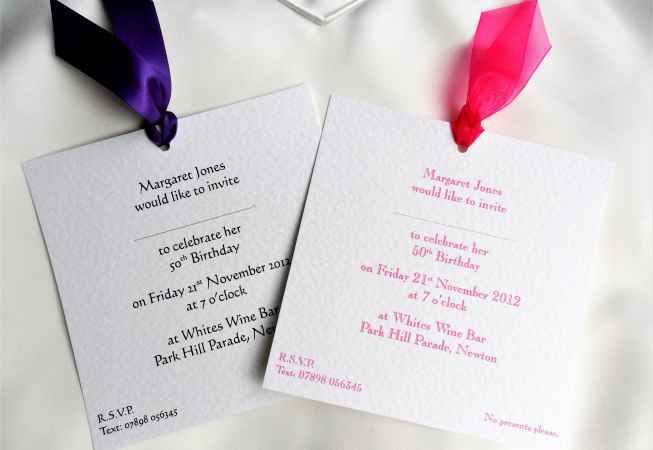 Chantilly Party Invitations are printed on a thick top quality heavy weight (270 gsm) hammered card and are available in white or ivory. 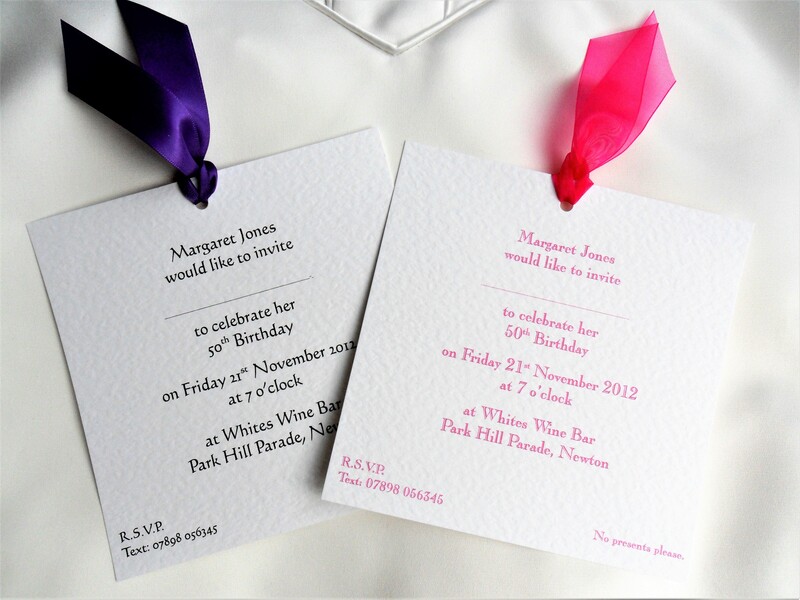 Choose your card colour, ribbon colour (if applicable) and font choice/colour from tabs above. Mix and match to get the look you’d like. 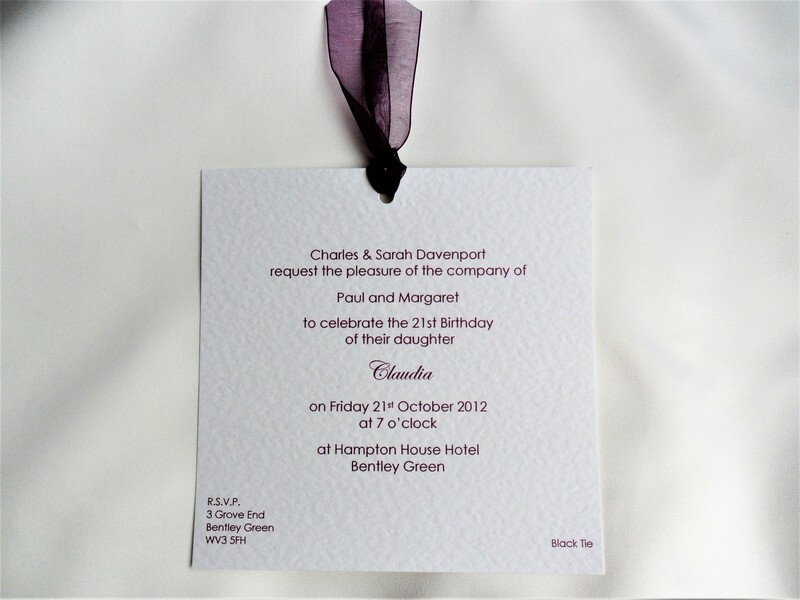 Price also includes all personalised printing and a matching hammered envelope. We have matching guest information cards and RSVP cards available. 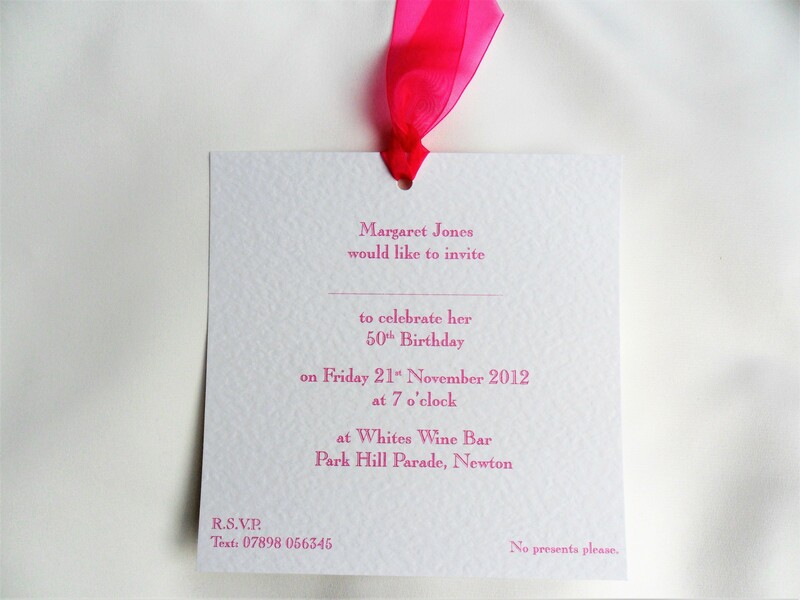 Price includes an envelope with each party invitation. Price also includes guest name printing if required.